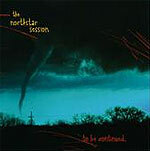 CD review: "To Be Continued ..."
Recently relocated to the LA area from San Diego County, the Northstar Session is no longer the solitary plaything of Matt Szlachetka, but is now a dual venture with Kane McGee. With a shared vision has come an earthier sound than on the 2005 EP, "Little Lies." Where that release was almost over-polished at times, "To Be Continued ..." has more of a stripped-down sensibility to it  due at least in part, no doubt, to Kane's role as producer and engineer. The violin of Melissa Elena Reiner (who co-wrote four of the five songs) adds a richness to the sound as well. What hasn't changed is the band's devotion to gorgeous pop melodicism. The five songs here are each a small gem of pop songwriting: more hooks than a Velcro strap, a gently building sense of dramatic tension, a refrain that brings it all full circle. It's a winning formula, and one that ought to bring ever greater success to the band.